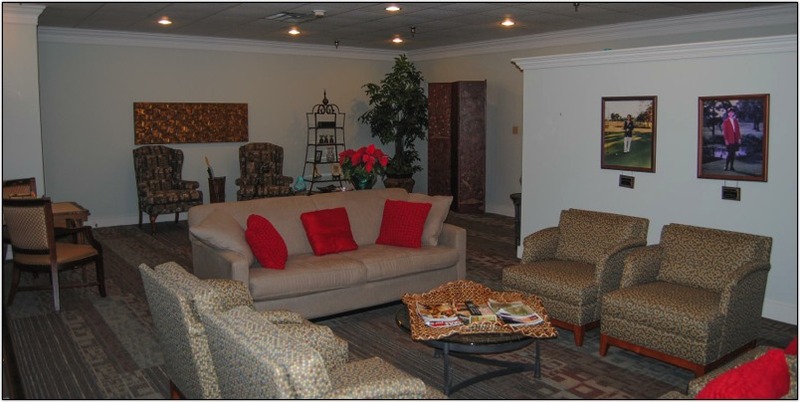 Recently renovated, the ladies’ lounge is an attractive, comfortable amenity for our lady golfers and guests. The Locker room includes showers, vanity station, lockers, and a lounging area. Here, ladies relax and socialize with other female club members before or after course play.